John Juzek4/4 VIOLIN original Prague era, end 1800s - early 1900s. THIS IS A REAL ONE ! ! NO (USA or elsewhere made) COPY !! A loud violin with a loud, deep and warm well balanced sound. 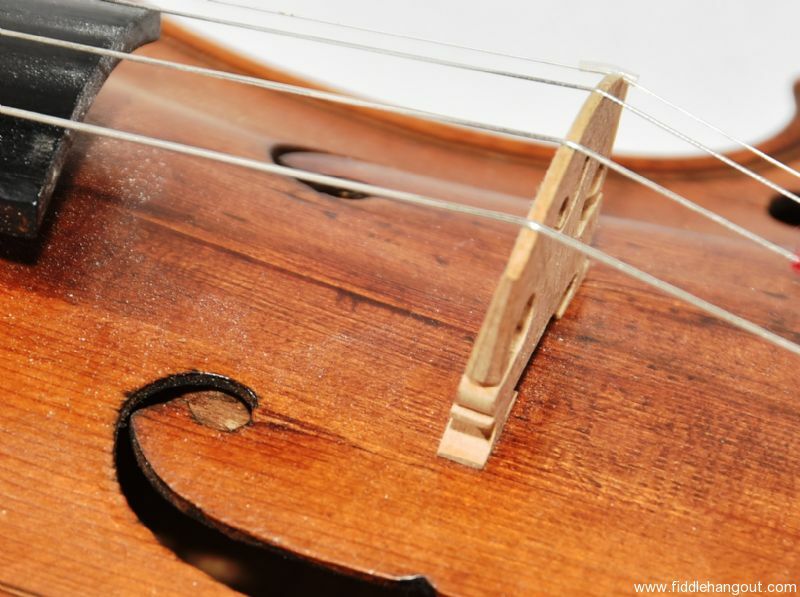 Built with top class curly maple and spruce wood, and a one piece back.This violin has been professionally restorated at the top-blade around the bridge and soundpost, see pictures below. It has been setup with steel-strings and been regularly played for about 5 years now. The instrument has proven to be stable with medium Thomastik Spirocore steel strings, and stays perfectly in tune for longer periods of non activity: it's ready for some serious music. 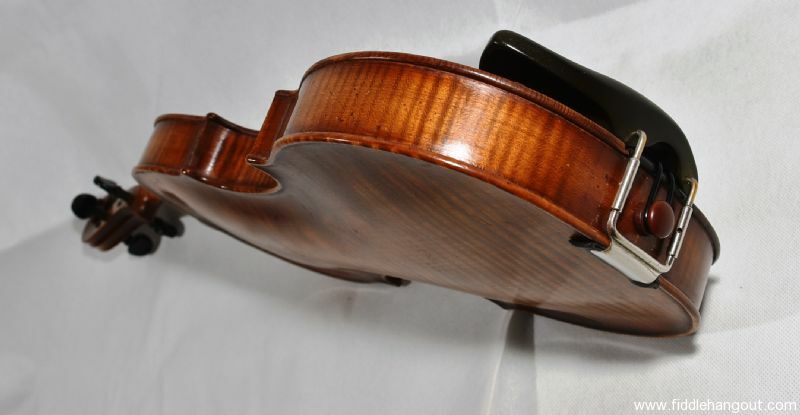 Has 2 violin makers check matters and clean the varnish; both found repairs done well and stable. One remark made was: you might not want to put a thicker fingerboard on it; it might influence the sound, the current fingerboard and tuning pegs are in a perfect condition. Took it out on two gigs recently for the fun of it: it does the (acoustic) job; two Banjo's and a Dobro R.I.P. This 2018 hot 30-35 Celsius degree averagely warm August i took it with me to a Cajun festival in France; i did not need to tune it except for a very slight finetuner correction at some point. Additional kills: Two Acadians and one Martin Cajun accordion. PLEASE NOTE: the violin will be dispatched seriously packed, with the bridge detached. 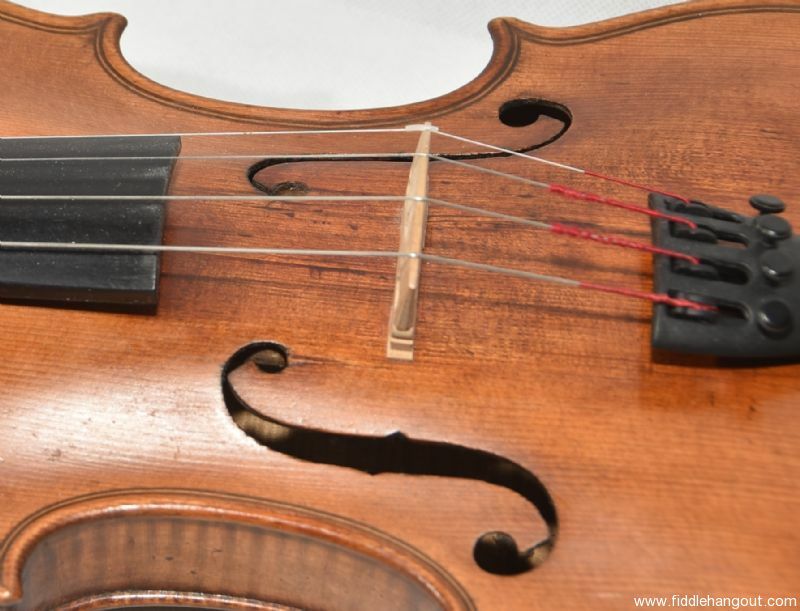 IT's IMPORTANT TO CHECK if the SOUNDPOST is still in position and not fallen over, and if in doubt, CHECK this with a local Violinmaker BEFORE STRINGING IT UP. !!!!!!!!!! The label indicated that this is a violin NOT TO BE confused with the USA factory workshop violins of the same name, but a real original from John Juzek himself. Probably made around the early 1900 - years. This type Juzek violin has normally a street value of about 3000 euro's if no repairs had been made. Shipping can be done insured economy, in a free used case only meant for shipping, OR in an as new SKB brand case made of sturdy plastics and aluminum. For shipping safety i could add an as new aluminum and plastic hard-shell case made by SKB at an extra 80 Euro's. . Shipped this way the bridge can be left in place eventually. Only the strings will be slackened for safety reasons. There is no bow included, but i can provide one if required at costs. Pernambucco, epoxy or carbon, if stocked. Returns are only possible when done immediately, after contact, and refunds when the instrument has been received in the same condition it left. Eventual refunds are without paid shipping, and return shipping costs are to be paid by buyer. PAYPAL: 3,5% PP fees extra. BANK TRANSFER possible, email for details please. Additional return policy details: Only if instrument is received in the same condition it left - MINUS paid shipping, return shipping to be paid by buyer. ph 00 31 70 4400244 - The Hague, Netherlands. This ad will automatically expire 6/6/2019 1:55:12 AM unless updated before that date. To keep the system current, ads expire if not updated for more than 60 days.